Thanks for the lovely photos. You are using unison audio amp? I heard S6 int few yrs back. sound good. May I ask what kind of stand you use on the picture? Link? they look like epos stands? they're very nice. you can still get new ones on the net. Hi , yes its a Unison s2k. Only 14 watts but it sounds superb with the Harbeths. I tend to listen at relatively low volumes, late at night etc. They came with my speakers as they were second hand. Low vol listening without compromise detail and bass. Radial magic. Thanks for your answer and link! I tried the Something Solid stands recently with the P3's and I would recommend avoiding them - the finish really was unacceptable and the design has changed (significantly to the worse imvho). I now have the Music Tools Tool One stands at 67cm tall and they are perfect - at least for the P3 (in size, finish as well as the sound). You got the real sweet rosewood M40.1. Thanks for the photos! Congratulations on the new M40.1. That is a nice setup there in the dedicated room. May I know what is the turntable model behind the Classe amp? I can just imagine the smooth and grain-free sound from your analog setup coupled with the smooth Classe amp. I was there when the beautiful Rosewood M40.1 was unveiled.....truly a great sight to behold. Thanks for the kind words. The M40.1 ......so Majestic. Texture, micro-dymanics (unheard of with SHL5) , depth, mid, bass control.... organic, outstanding........ I have no bass problems at all in my small room. Even my sons can tell the difference. 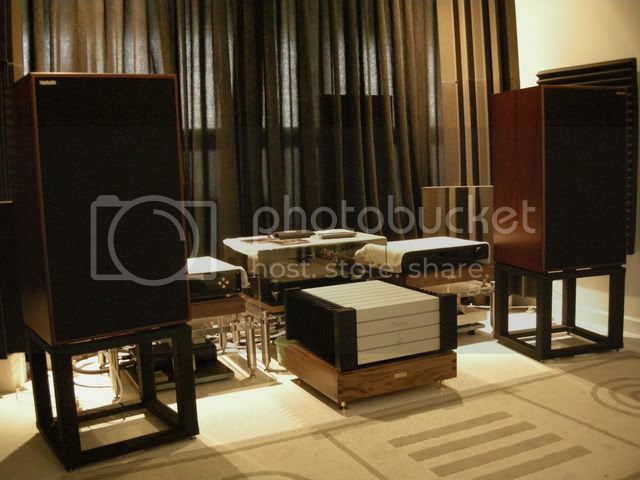 Recently, (Singapoare Annual Hi-fi show) heard megabuks systems (not to mention brand) with systems cost more than an apartment... nothing and nothing IMO, can come close to M40.1. TT is from VPI Scout with standard arm. Phonostages: Graham Slee V and Jolida. Cables, standard that came with the TT. BTW, have not try with analogue yet. Glad to know you do not have bass issue bro! 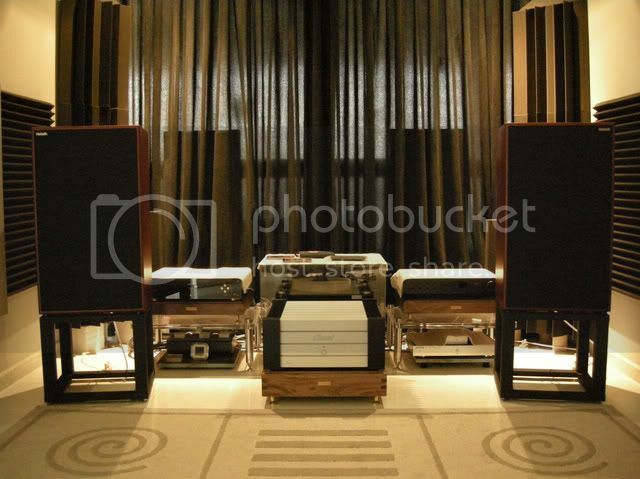 Same thinking here: Nothing, IMO too, nothing can come close to Harbeth sound I heard so far..